When paranormal investigator Mike Raglan receives a panicked phone call from his friend Erik Hokart, he finds himself thrust into one of the great unsolved mysteries of the Southwestern United States. His investigation of Hokart’s disappearance while drawing him into a dimension spanning battle against a mysterious force and an ancient enemy. A couple weeks ago we discussed a fantasy novel that adopted the tropes of the western (Joe Abercrombie’s Red Country). This week we look at a Science Fiction novel that is set in the modern day, adapts the trappings of the western, and is written by perhaps the most celebrated American Western author. Louis L’Amour is best know for works like Hondo (1953, The Daybreakers (1960), and The Californios. 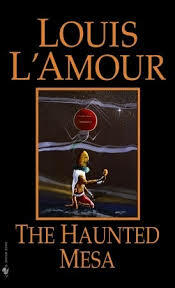 While this book sees him science fiction principals (the concepts of multiple dimensions, electronics), it also sees him pose a solution the vanishing of the Anasazi. The Anasazi were a Native American people that occupied a range of land around the states of Utah, Colorado, Arizona, and New Mexico. They built cliff houses and pueblos, and had a well developed civilization, and then “vanished” sometime in the 12th or 13th Century BCE. (I use the term “vanished” because I am speaking form a pop culture perspective that often finds the Anasazi cast as a mysterious and cryptic other. Recent anthropological research has focused around their “vanishing” actually being a migration due to societal and environmental pressures. For more about the Anasazi good starting place can be found in the Wikipedia article Ancient Pueblo Peoples). This is an interesting book full of action and adventure, that details Raglan’s adventures both in our world and the place where the Anasazi escaped to. On a more personal level, I enjoyed this book because it is one of the few science fiction novels I have actually been to the setting. The novel’s haunted mesa is based on Native American legends about New Mexico’s Urraca Mesa, which is part of the Philmont Boy Scout Ranch. In my younger boy scout days, I had the opportunity to visit the lands of the Anasazi, and it made me seek out this book. If you are looking for an interesting book by an author not normally known for sci-fi, this is a good one. Thunderhead (1999) by Douglas Preston and Lincoln Child focuses on a scientific facility located in New Mexico and its encounters with strange phenomenon. It includes a different explanation for why the Anasazi disappeared then Haunted Mesa. Also it is part of the larger Relic Novel universe featuring the characters Nora Kelly and Bill Smithback from Preston and Childs’ earlier work. The X-Files (1993-2002) (“Anasazi”, “The Blessing Way”, “Paperclip” (Season 2), “The Truth” Parts 1 & 2 (Season 9): Legends of the Anasazi, their historical sites, and their traditions play a role in the background of these episodes. A Thief of Time (1988) by Tony Hillerman is part of the authors Jim Chee/Joe Leaphorn detective series set in and around Native American Reservations in the American Southwest. The Anasazi and their historical sites form a central part of the books mystery. Although not specifically science fiction or fantasy, the is a timeless sense of unreality to some of Hillerman novels. In 2004 PBS produced an adaptation of this novel featuring Wes Studi, Graham Greene, and Peter Fonda. Reverend Charles Jacobs is a man that has lost his faith. Jamie Morton is a young boy finding his way in the world. Their first meeting was marked by tragedy and a miracle. Over fifty years of history they will encounter each other as both rivals and allies in a quest that will probe the mysteries of the cosmos and the secrets of electricity. 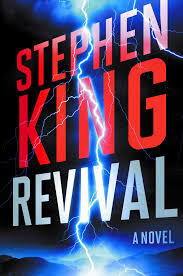 Revival, Stephen King’s newest work paints a generation spanning tale of two people who have been united by fate and common experience. This book is written in the style of a first person memoir with the narrator relating the events. This allows the author to build suspense by mentioning events that will occur in the future in early parts of the book, then circling back to expand on these events at regular points. King has used this technique in several of his recent books, especially the recent Dr. Sleep. The book focuses on two themes. The first is addiction (a common theme of King’s work) and how to overcome it. The second deals with exploring and encountering the unknown, as well as attracting the attention of beings beyond human understanding. Parts of this book harken back to weird fiction stories of the 1930s when new scientific forces (Electricity, Radiation, etc…) were ascribed all manner of strange powers and properties.to expand humanity’s knowledge, often with disastrous results. This book owes much to Mary Shelley’s Frankenstein, and also appears to be greatly inspired by the work of H.P. Lovecraft. I enjoyed this book, and I think fans of Stephen King will enjoy it. I think horror and science fiction fans will also find it interesting. The dust cover claims that the book features “Stephen King’s most terrifying conclusion ever”. In my opinion it did not live up to that boast. Stephen King’s books often share links that place them into various universes, most of which joined by the Dark Tower series. This book mentions events and locations from the story Joyland (2013) which means it shares a world with that book as well as The Colorado Kid (2005). “From Beyond” (1934) by H. P. Lovecraft – This short story relates the narrator’s encounter with Dr. Crawford Tillinghast whose discovery of Tillinghast Resonance allows him to access another dimension and observe its strange inhabitants. Of course this also allows those inhabitants to peer back into our dimension. From Beyond (1986) Directed by Stuart Gordon and starring Jeffery Combs and Barbra Campton. Fresh from directing an adaptation of the another H.P. Lovecraft story (1985’s Re-Animator) Gordon turns the story into a tale of shape-shifters, body horror, and brightly colored gore. A decent re-telling of the Lovecraft story, but Gordon’s work can be an acquired taste. When Shy South returns from market rip to find her homestead burned and her brother and sister kidnapped, she sets off to rescue them accompanied by her step father Lamb. Her will journey takes her across the Far Country where she and her allies will confront hostile nature, dangerous outlaws, fierce natives, greed, corruption, and a vainglorious mercenary captain named Nicomo Cosca. To my mind one of the most fascinating genre mix-ups to arise from speculative fiction is the fantasy or supernatural western. The Western not only provides the central founding mythology goes the United States of America (serving as our King Arthur Story, Mabinogi, or Vedas) but has found itself adapted to address the issues of the times. It seems only natural that fantasy and sci-fi authors would want to try their hand at this most American of genes. Usually these works take the form of either a traditional western setting (America from about 1835-1905) with fantasy elements (magic or the supernatural) or traditional fantasy novels written in the style of a western. 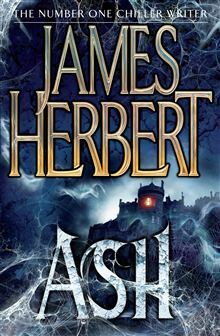 Over the next couple of columns these reviews will look at several different aspects of the Western in speculative fiction, starting with Red Country, by Joe Abercrombie. I picked up this book based on the book jacket’s description of it as a fantasy novel written in the style of a western. I had heard the Joe Abercormbie’s other novels had a reputation for featuring gritty violence and morally conflicted heroes. After starting the book, I realized that several of the characters were from the author’s other works, but Red Country managed to convey who these characters were, and the earlier adventures are not necessary to understanding this story (though those who have read the other books may find certain characters fate more resonant however). I had a conflicted reaction to this book, and I think the best way to review is to riff on the tile of the concluding chapter of Sergio Leone’s Dollars trilogy of films. Red Country is a well written book. Abercrombie’s prose creates a vivid picture of the environment and the characters, and it gave a clear understanding of the geography of the world they inhabit. The book provides a lot of action, and moves quickly from event to event. It does not devote a lot of the time to extraneous filler and has a very lean structure, which allows it to emulate the classic western novels and films that are its influences. If you are a fan of Abercrombie’s First Law World or his other works, you will probably like this book immensely. The events of this book read like a greatest hits of the modern western film canon. I easily identified elements of The Searchers, Ride the High Country, The Outlaw Josey Wales, Butch Cassidy and the Sundance Kid, The Wild Bunch, and of course A Fistful of Dollars. This is in itself not necessarily a weakness of the book as the various western works often use the same situations to different ends and much of the action is based upon a series of stock tropes (hostile natives, the wagon train, the corrupt town, the mysterious stranger with a background stepped in violence). However, in this book I feel the author tried to place one too many western elements in the book, and it made it feel like it was too dependent on the works that had come before it. Additionally, I felt that this book has a problem with its ending as it appears to be heading towards a climactic showdown reminiscent of The Wild Bunch, switches to copy the final scene The Butch Cassidy and the Sundance Kid, before finally deciding that it wants to steal the ending of The Outlaw Josey Wales (an ending which I felt the character who received it did not deserve). How much of a drawback this will be to the readers will depend on ones familiarity with the Western genre I suppose. Early on in this review I mentioned that this book has a number of stock western characters (the woman with a past, the man of peace who has turned his back on violence but is forced to pick up his old ways, the youngster with no skills seeking vengeance), and this is not a problem as such characters are the bedrock of western fiction. It is what the author does re-conceptualize these roles that count. However, I found one character in this book especially problematic, and I think it is because it is an attempt at a pastiche of a real life western character: the mercenary leader Nicomo Cosca. It was obvious form the introductory paragraph that this character is meant to be a version of the real life General George Armstrong Custer (mostly known for his actions at the Battle of Little Bighorn). This works great as narrative shorthand for conveying everything you need to know about the character, but I felt the similarities to the real Custer detracted from giving Cosca a unique voice and pulled me out of the story. I think that Cosca is one of the characters from Abercrombie’s other works, as there seems to be a lot of back-story to his role in the storyline. 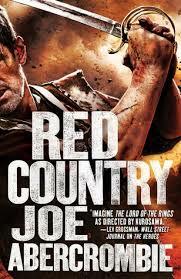 In short I think Red Country is a great book for fans of modern, darker edged fantasy, fans of Joe Abercormbie’s other works, and anyone looking for a crash course in the history of western film since about 1965. The best fantasy/western I have read is this collection of short stories by Alan Dean Foster. Mad Amos is a mountain man/scout in the American frontier who rides a unicorn named Worthless and battles supernatural and occult threats. McCarthy’s Blood Meridian is a truly gritty western about morally compromised people traveling across a hostile and dangerous land. The Judge (the books main villain) and his band of mercenary’s depredations make Nicomo Cosca and his men look like armatures at the art of violence. 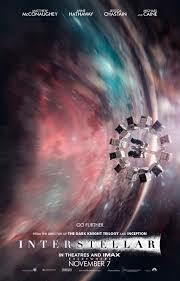 This weekend, Interstellar (2014, Directed by Christopher Nolan and starring Matthew McConaughey, Anne Hathaway, and Jessica Chastain) was released in theaters Interstellar promised to be a visionary science fiction film about hope, space exploration, and the future of mankind. But does it deliver on this promise? In my opinion, yes, but not without having a few flaws, and a terrible ending. This review will avoid direct spoilers, but will discuss some concepts and ideas of the film which might lead genre savvy readers to guess some important plot points. Apologies if that is the case. Interstellar is the story of the NASA Test Pilot/Engineer turned corn farmer Cooper. In a future were unspecified calamities (there seems to have been a general war that has substantially reduced the population) has led to Earth rapidly running out of food and breathable air. Cooper finds a role as pilot on a last ditch space expedition seeking potential new homes for humanity on the other side of a wormhole. Back on Earth his daughter (who from Cooper’s perspective is aging rapidly due to time dilation) attempts to find a solution that will let the rest of humanity leave its dying planet and find a home among the stars. There is a lot to like about this movie. It has exciting scenes of exploration, cool alien worlds, and generally tense moments. However there is a lot of time spent on metaphysical discussion of abstract concepts, resolving of family issues, and theorizing about love and gravity. At close to three hours, it also suffers from the bloat that affects most big movies nowadays. I think there is an excellent two hour movie that could be created from this. I recommend seeing it, because big budgeted sci-fi with a hard science background deserves fan support, and there are several suspenseful sequences. However, I feel that the movie is let down by an infuriating ending. Kubric’s visionary story of a doomed space expedition to Jupiter, and an alien monolith’s influence on human development, 2001 regularly appears on lists of the greatest sci-fi movies of all time. Arresting, but often ponderous, and with a bizarre ending that has become a cultural touchstone, 2001 is well worth seeing. In fact Interstellar seems to be a response to 2001 replacing the latter’s stark rationalism with emotional stakes. It is followed up by 2010: The Year We Make Contact (1984; Directed by Peter Hyams, with Roy Scheider and John Lithgow), a sequel which focuses on the efforts to salvage the mission launched in 2001 as well as what the alien monolith plans for Jupiter. It is a much more straight forward sci-fi adventure movie, but an interesting artifact of how the 1980s viewed the future. Oddly, 2001 is a case of the movie preceding the book. 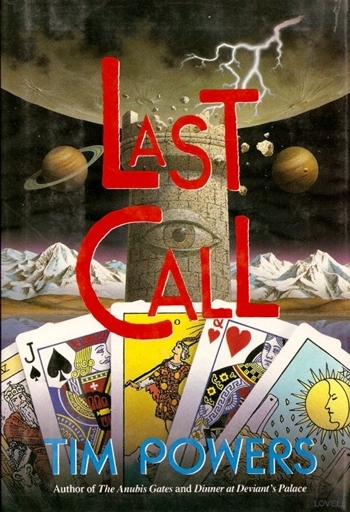 Although Kubric based his movie on an Arthur C. Clarke short story (“The Sentinel” – 1948), Clarke did not write the novelization until after the movie was in production. Clarke followed the book up with three sequels: 2010 Odyssey Two (1982) and the basis for the 2010 movie; 2061: Odyssey Three (1987) which deals with an expedition to Halley’s Comet, and 3001: The Final Odyssey (1997) which examines the secrets of the alien monoliths. Radio Astronomer Ellie Arroway discovers an alien signal, which turns out to be blueprints for a strange machine. The device is built (and turns outs to be a wormhole generator/travel machine). Dr. Arroway travels through the device and meets with aliens who discuss humanity’s place in the universe and the nature of time and space. Made as the movie Contact (1997; directed by Robert Zemeckis and starring Jodie Foster, James Woods, and Tom Skerrit). This movie also features Matthew McConaughey in a scene that echoes one in Interstellar. This is an excellent book, and a decent film. The ending works better in the novel however, as the visualization of it in the film is not entirely successful. Solaris provides an interesting example in how adaptors of books can choose what to highlight in their film and actually change the nature of a story. Solaris (1968) is the story of Dr. Kris Kelvin, a psychologist sent to the space station orbiting a planet named Solaris. His job is to uncover the source of the bizarre phenomena that plaguing the crew to uncover why its staff is having psychological problems. Dr. Kelvin discovers that the problems stem from an alien intelligence’s attempt to contact humanity, but on a level beyond human understanding. Solaris was filmed three times with each director focusing on a slightly different aspect: Solaris (1968) is a black and white adaption for Soviet Television follows the book faithfully; Solaris (1972; directed by Andrei Tarkovsky) is a loose adaptation of the book that focuses more on issues of grief, loss, and human relationships and relegates the alien mystery to the background; and Solaris (2002, directed by Steven Soderberg) who tries to split the difference between Lem’s novel and Tarkovsky’s film but adds naked George Clooney to the mixture. Sphere (1987) by Michael Crichton sees a crew of scientists investigates a craft that has traveled through a black hole and returned with the power to make ones hopes and fears a reality. It was made as a serviceable film also called Sphere (1998; directed by Barry Levinson and starring Dustin Hoffman, Sharon Stone, and Samuel L. Jackson). Event Horizon (1997; directed by Paul W. S. Anderson, and starring Sam Neil, Lawrence Fishburne, and Kathleen Qunilan) sees a space vessel (the titular Event Horizon) pass through a black hole to a place outside the universe (quiet possibly “hell”) and return possessed of the desire to feed on fear and kill. 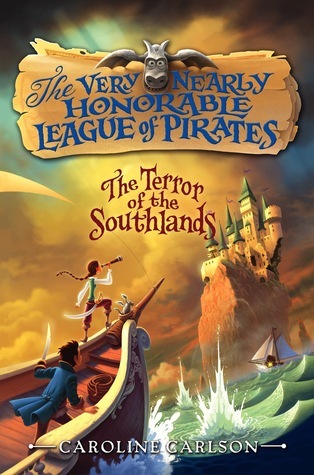 Hillary Westfield has achieved her dream of becoming a member of The Very Nearly Honorable League of Pirates, and even has a pirate nickname, The Terror of the Southlands. So she is shocked when she receives a notice from the League warning her that she has been displaying un-piratical behavior. Ordered to undertake a dangerous quest by the Leader of the League, she instead opts to search for the missing Enchantress of Augusta. Accompanied by her loyal gargoyle companion, friends, and loyal crew, she is plunged into a fight against a conspiracy that threatens the stability of her world. I do not read much young adult fiction, but at the American Library Association annual conference this year, I happened upon an advanced reader’s copy of this book. Not really knowing much about the series, but being a huge fan of pirates and 18th century naval history, I decided to pick it up and give it a read. I was generally surprised by how entertaining this book was. Caroline Carlson has created a unique fantasy world, one part C.M Foster (Horatio Hornblower Series), one part Jane Austen, and one part Gilbert and Sullivan. As I read this book I thought, this is the world were the events of both The Pirates of Penzance and HMS Pinafore could occur. An excellent book for young adults, this book also contains much humorous material that will have adults laughing as well. The author uses not only the techniques of memoir which give it an 18th-19th century feel), but also includes newspaper articles, notices, correspondence, forms, and other inserted documents that flesh out the setting the novel takes place in and paints a picture of a world not purchasing tickets the Pirate League Holiday Party is considered an un-piratical act. This is the second book in the series, so I went and read the first book, The Very Nearly Honorable League of Pirates #1: Magic Marks the Spot. Although I had some of the events of this book spoiled by reading the sequel, I enjoyed the first volume just as much as this one. I heartily recommend this book for all ages and await the next volume in the series. One of the quests that motivates me as a reviewer and blogger about speculative fiction is the search for something new. Many times this quest sees me seeking out the cinema of other countries. When I was at the theater for another movie I noticed a poster for a Korean movie called The Pirates. Without knowing anything about it, I decided to watch it, and I am glad I did. The Pirates fictionalizes an event form the history of the founding of the Joseon Dynasty in Korea during the 1300s. The movie pits a band of pirates led by the feared and skilled pirate captain Yeo-wol, the Daughter of the Dragon, against a rather hapless band of bandits led by the ex-soldier Jang Sa-jung who calls himself Crazy Tiger as they attempt the recover the Joseon Royal Seal from the whale that swallowed it. Both pirates and bandits are pursued by are pursued by ruthless enemies from their past. This movie mixes comedy and action, makes several references/homages to the Pirates of the Caribbean films, and yet creates its own style. There is some violence but is of the action comedy variety. See it if you get the chance. HMS Pinafore (1879) tells the story of the crew of the British ship HMS Pinafore as they struggle for romance and rank in their naval careers. It is probably Gilbert and Sullivan’s best known operetta and as referenced often in many other movies, appearing in titles as diverse as Star Trek: Insurrection (1998) and The Hand that Rocks the Cradle (1992). The Pirates of Penzance (1879) relates the tale of the pirate Fredrick and daughter of the Major General Mabel’s and their star-crossed romance. The pirates as presented in this operetta have a lot in common with the Pirates of The VNHLP: Terror of the Southlands Terror of the Southlands. Probably the most familiar element of this work is the song “I am the Very Model of a Modern Major General” a tongue twisting patter song often performed with parody lyrics such as in “The Elements” by Tom Lear on in animated shows line Animaniacs or ReBoot. There is a movie version titled The Pirate Movie, (1981) directed by Ken Annakin and starring Kristy McNichol and Christopher Atkins. It jettisons most of the original score, adds new songs, and is suffused with an abundance of 1980s cheesiness. It is best avoided. I love All Star Superman. I really like The Invisibles. Sea Guy was pretty great. 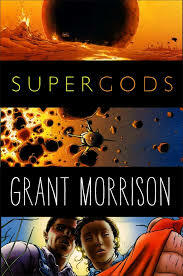 As a matter of fact, I like most of Grant Morrison’s comics. I entered my teenage years reading the best comic-writers from the British invasion: Garth Ennis, Neil Gaiman, Alan Moore, and in there with ’em, Grant Morrison. As such, I was curious to read what he had to say about comics–especially knowing that Morrison is into the occult and that some of his theories are echoed in his stories. I also looked forward to learning “what masked vigilantes, miraculous mutants, and a sun god from Smallville can teach us about being human” as his book’s title asserts. The first emergent comic-book universe began with this grand separation of light from dark, is from isn’t, this from that, up from down, in a kabbalistic, Hermetic symmetry. The first light had cast the first shadow. A kind of alchemy was under way (26). I was impressed with the balance of fun fact (like the reasoning for Superman’s outfit) with mystical allegory (Superman as Apollonian force, Batman as Dionysian), and was enjoyed learning about the early comic book companies and the associated personalities as well as the creation of the comic code. And I enjoyed the interleaving of Morrison’s childhood in this narrative, but about half way through the book, it becomes less about comics and more about Morrison’s crazy experiences with his shamanic/magical practice, his travels and drug ingestion, and at one point his illness. Along the way, we learn more about his career trajectory, who was there along the way, and come to realize that the book teaches us less about being human than it does about being Grant Morrison. Luckily, he’s had an interesting life that caused me to laugh and think more than once. I’d already contrived to meet Animal Man in his own environment, creating with the help of artist Chaz Truog what I call the “fiction suit.” This was a way of “descending,” as I saw it, into the 2D world, where I could interact directly with the inhabitants of the DC universe on their own terms, in the form of a drawing (254). It is not often you have a chance to read an author writing of a fiction suit outside of science fiction, and if you go along with Morrison’s conjectures, the ideas are actually pretty neat. This weird blending of comics and memoir and magic is certainly not to everyone’s taste, but for a few, it’s literally fantastic. 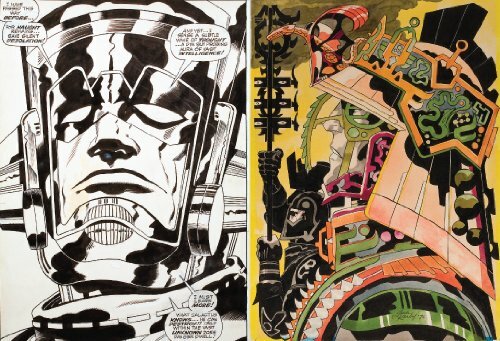 The comics boom of that cycle gave us Judge Dredd, Frank Miller’s gritty noir, Alan Moore’s harsh logical realism. Nineteen eight-eight saw ecstasy, or MDMA, as the favored drug, accompanying long-form trance, ambient and dance music, Manchester ‘baggy’ fitness wear as street wear, grunge beards, and a return to long hair. In comic books, this was the time of Deadline, Doom Patrol, Shade and Sandman (303). In his description of cultural cycles, he states that, “the new superhero books are becoming more fantastic, colorful, and self-consciously ‘mythic’” (303). This kind of forecasting is risky because, in just a few years, if this is not the case, it casts much of the book into the shadow of doubt, but I respect, nonetheless, Morrison’s effort. Throughout the chapters he describes where he was at personally and creatively in each “age” and sometimes it is difficult to tell whether he is humble-bragging about how he was always at the vanguard or if he is simply sharing how he reflexively reacted to existent cultural forces. Morrison’s organization of comic history is quite interesting especially when he ties it to music and politics, and proves to be an interesting historical lens. This reviewer is a long-time comic reader, so much of what Morrison describes is familiar, and thus this lens feels comfortable, but for those new to comics, it may prove less useful. Morrison’s book is not a book for those unfamiliar with comics. He writes to and for the comic aficionado, and makes few apologies. 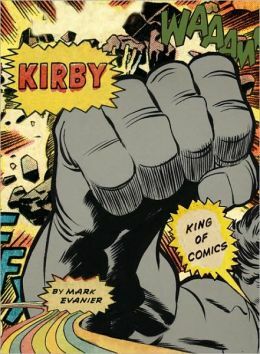 This book is also not for those looking more for an exhaustive history of comics; instead, it offers a Dr. Strange level of weird in its synthesis of memoir, cultural criticism, comic books, and magical theory. Librarians will be happy with his suggested list of further reading and satisfying index. There’s a book for everyone, and this is just the right book for that group interested in comics and performance, culture and rebellion, and intelligent fringe thought. Authority begins with John Rodriguez, or Control as he names himself, taking over a directorship at the Southern Reach–the shadowy quasi-military organization nominally “in charge” of Area X. While it is perhaps a little too easy to see where this will go–especially with the protagonist’s name literally spelling out the theme of the book–watching everything unravel, including our own understanding of what’s happening, is really enjoyable. There are two sort of travelers: those who like to bring their world with them wherever they go, and those who like to discard everything as they go. This novel is certainly more for the second sort of adventurer. As Control takes over at Southern Reach, we learn of his own unknown handler, the machinations of his arch-spy mother, and are introduced to the somehow saudade scientists inhabiting the facility. We are also reintroduced to the biologist from the first novel which simultaneously acts an anchor to the last book and calls into question what we think we have learned about the nebulous area’s history. Despite the looping, fracturing content of the novel, the structure is fairly straight-forward. Like the first novel, Annihilation, the narrative swirls around one central character who finds himself surrounded by dubious colleagues and a menacing and strange environment. And again, both books give us protagonists who spend a great deal of time in memory (and thus exposition) and are more curious than sensible. Both the biologist and Control are shaped by failed relationships, both are almost clinical in their reactions, and both choose to seek knowledge more than safety. Authority requires Annihilation to be read first, and is a fast read. That said, readers of strange fiction will certainly enjoy it, as will readers of more “literary” story-tellers like Don Delillo, Angela Carter, and Thomas Pynchon. Those patrons who are looking for more swash-buckling fantasy may not care for it as much and nor will those readers who like to have more footing in their reading. Age range: 16+ through adult.